Finding serenity every day...in the everyday things we do. It can be a challenge to reach a calm and relaxed mindset, especially in our modern world. 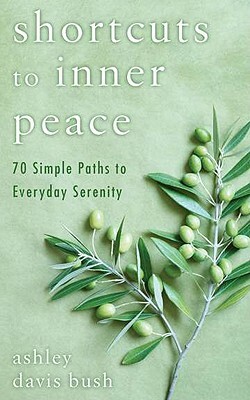 But in Shortcuts to Inner Peace, Ashley Davis Bush helps readers learn how to hit the pause button amidst the chaos with a spirit of mindfulness-linking fast, easy, and restorative respites to ordinary everyday activities. Once people begin to integrate these shortcuts into their daily lives, they begin to happen automatically. And when that happens, inner peace will no longer be a brief state of mind, but a way of life. Ashley Davis Bush is a licensed psychotherapist and grief counselor in private practice. She lives in New Hampshire.